Curtis ‘50 Cent’ Jackson performs onstage during the Starz ‘Power’ The Fifth Season NYC Red Carpet Premiere Event & After Party on June 28, 2018, in New York City. Looks like 50 Cent is ‘bout to go gorilla, with an unprecedented multi-million dollar deal with premium cable network Starz. 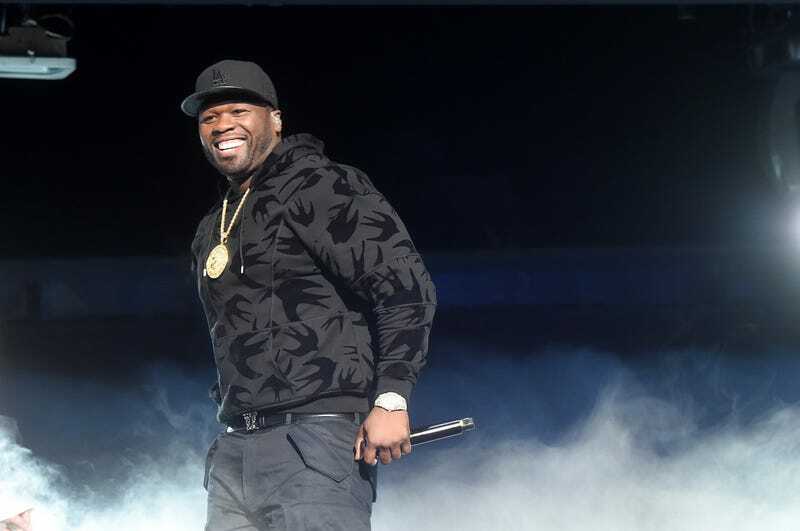 Variety exclusively reports that 50, born Curtis Jackson, has signed a four-year deal with Starz, which will cover the development of scripted and unscripted projects through his G-Unit Film & Television company. “When I sat down with Chris [Albrecht, Starz CEO] and walked him through my plans for G-Unit Film & Television going forward, he let me know I was essentially requesting the biggest deal in premium cable history,” Jackson said. Jackson’s series Power has been a juggernaut for the network; it remains the most watched original series in Starz history. Variety reports that Jackson and G-Unit already have two new projects in active development at Starz —Black Mafia Family about Big Meech Flenory and the BMF, and Vanguard, about an ex-Navy SEAL forced to return home to face his gangster beginnings. So, more gangsta fare. But we ain’t mad. Many of the movies in the criminal genre stand as American classics.